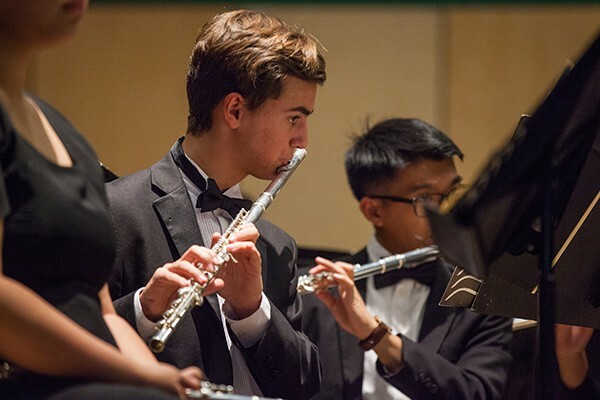 In order to provide the best possible musical opportunities for high school and middle school age musicians, our band and orchestra programs accept middle school and high school students only, including graduated 12th graders. 9th graders may enroll in the Symphonic Band or the High School Wind Ensemble with the consent of the music faculty. The faculty reserves the right to re-assign ensemble placement after the live auditions in Idyllwild on Sunday, July 7. Students who participate in regional, state and national honor groups qualify for an automatic discount of at least $1,200 through February 20, 2019. After February 21, 2019 the discount will lower to $1,000 through April 1, 2019. Additional financial aid based on financial need is available. Students who are accepted and enroll in two consecutive programs, e.g., Symphony Orchestra Intensive/Chamber Festival Intensive, or Wind Ensemble Intensive/Chamber Festival Intensive are eligible to receive a 15% discount for the full cost of tuition, meals and housing. In effect, students pay for three weeks and receive the fourth week free. Honor Group participants may apply the Honor Group discount of $1200 to one program before February 20, 2019. After this date, $1,000 can be applied until April 1, 2019. 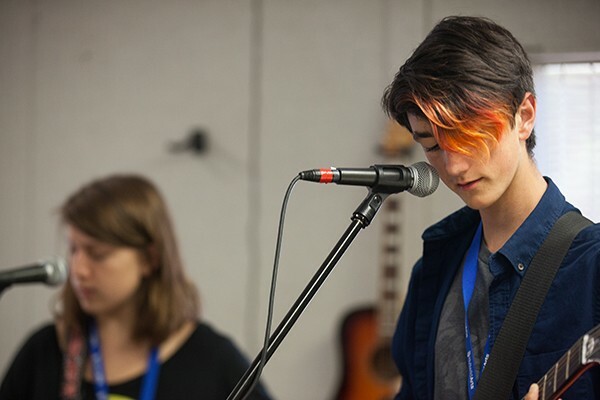 A select, pre-auditioned group of approximately 70 high school musicians, includes pianists. All programs below are currently open for enrollment unless otherwise indicated. Ideal for the late beginner through advanced piano student. Enrollment is open without audition to any child who has completed three years of piano study. 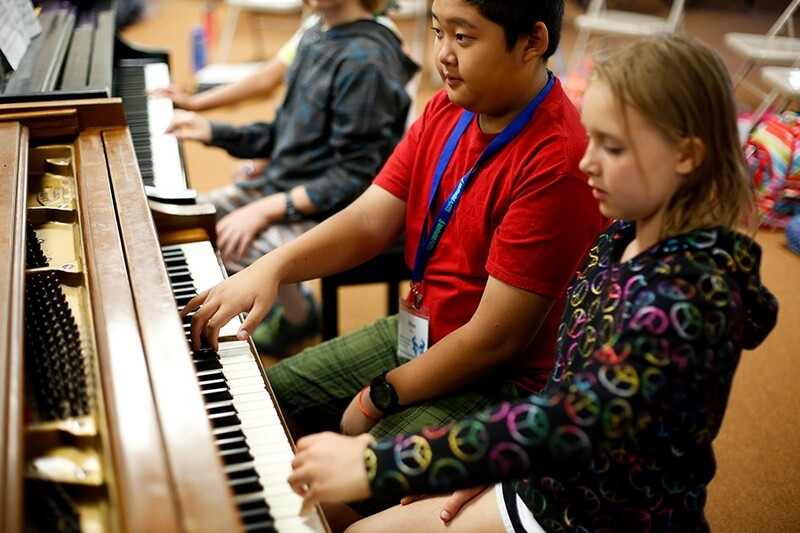 Daily summer music camp activities include improvisation, theory and rhythm games, playing eight-hand music, discussing technique and interpretation, learning new practice skills, and listening to great recordings. You will practice two to three hours each day, during which you receive at least 30 minutes of individual practice supervision and lessons. This intensified learning environment will accelerate your progress and help you focus for longer periods. You will be encouraged and challenged to do your finest work in a relaxed, loving, and non-threatening atmosphere. Specific goals are to polish one learned piece, finish a work in progress, and prepare a new piece for performance in concert. Your instructors will be Paul Nickels, who has taught Suzuki piano for 30 years, and Dr. Laura Spitzer, a concert pianist and associate professor at New Mexico State University. 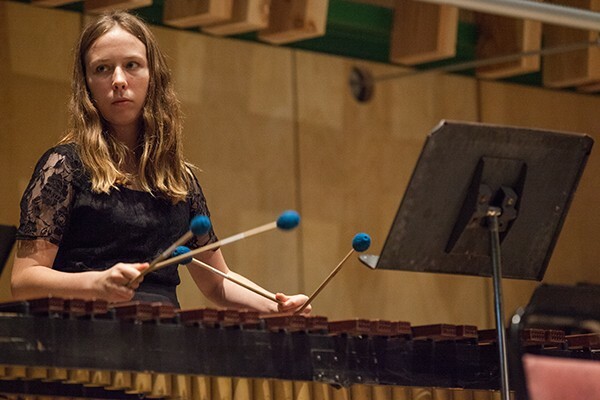 Sunday, July 14, 2019 – 1 p.m.
Saturday, July 20, 2019 – 12 p.m.
An inspiring and intensive two-week summer music camp, this is perfect for you if you are a junior high or young high school wind or percussion player. Playing as a member of a large ensemble, you will perform both classical and contemporary works for band including compositions by Holst, Reed, Persichetti, Grainger, Sousa, Bukvich, Del Borgo, McBeth and Brahms. You will perform two major concerts, and also have the opportunity to perform in solo and chamber music recitals. Instruction includes daily full rehearsals, sectional rehearsals, chamber music ensembles, master classes and music theory. Sectional placement is made after live auditions on the first day. 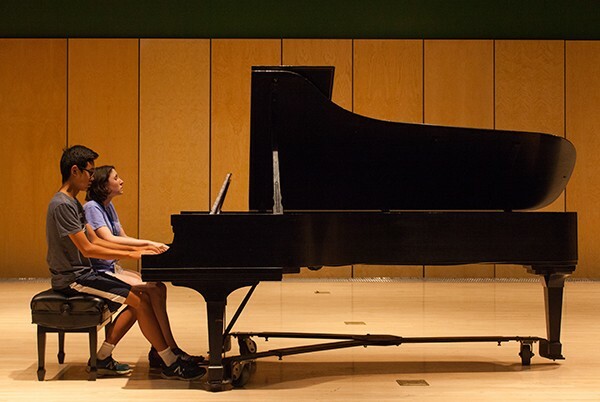 Saturday, July 6, 2019 – 1 p.m.
An intensive music camp for advanced junior high and high school pianists, this workshop gives you the chance to focus and vastly improve your technique and performance skills over a short period of time. You will receive private lessons, performance opportunities both in recital and master class settings, piano ensemble repertoire and coaching, and class discussions of various piano-related topics. Daily schedule will be determined by class needs, your abilities, and readiness to do the work. You must be self-motivated and prepared to practice individually several hours each day to master your assignments. Your intensive will include a field trip to the world-famous Hollywood Bowl to hear a live performance. Plan to bring at least four previously learned pieces including one that is at performance level. You must be playing repertoire with a level of difficulty comparable to any Prelude and Fugue from the Well-Tempered Clavier by J.S. Bach, any sonata by Mozart or Beethoven, or any nocturne, ballade or scherzo by Chopin. Saturday, July 13, 2019 – 3:30 p.m.
Saturday, July 20, 2019 – 4 p.m. Designed for the most talented high school-aged musician, the program offers you an intensive, two-week long orchestral experience. A large ensemble working at a very high level, the orchestra sight-reads, rehearses, and performs the finest symphonic literature from a variety of musical style periods. Works to be performed this summer include Copland’s Buckaroo Holiday from Rodeo, Ives’ Variations on America, Berlioz’s Roman Carnival Overture, Dvorak’s Symphony No. 8 in G Major. Works performed in previous summers include Stravinsky’s Firebird, Tchaikovsky’s Capriccio Italien, Shostakovich’s Festival Overture, and Rossini’s La gazza ladra Overture. Daily instruction will include sectional rehearsal and two full rehearsals. In addition to participating in the Symphony Orchestra, you will receive private lessons arranged individually with the faculty. During these lessons, the instructor will determine assignments for master classes and recitals. Sectional placements and seating will be made following the live audition on Registration Day. A recorded audition is required for acceptance. Find audition information at idyllwildarts.org/summeraudition. The priority audition deadline is Feb. 20, 2019, but applicants are encouraged to register and audition as early as possible. Please submit your application and audition as soon as possible to secure your seat in this fantastic summer music camp. 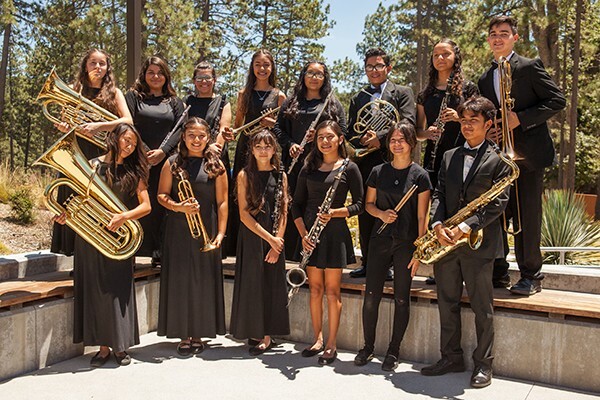 Saturday, June 22, 2019 – 11 a.m.
Immerse yourself in a chamber music summer music camp, led by Idyllwild Arts Academy instructors and professional chamber musicians. The week will include group coaching, individual instrument lessons, masterclasses with coaches and a featured guest chamber group, and performances from guest artists, faculty and fellow students. Curriculum will include Movement and Music “Body Mapping,” focused on performance injury awareness; Performance Techniques, highlighting on-stage interaction, body language and audience connection; and Ensemble Sight-Reading. Intensive also will comprise guided leisure activities including pool parties, ice cream socials, game nights and movie nights. You also will be invited to participate in selected Family Week activities. Open to Violin (10), Viola (5), Cello (5) and Piano (3). A recorded audition is required for acceptance. Find audition information at idyllwildarts.org/summeraudition. The priority audition deadline is Feb. 20, 2019, but applicants are encouraged to register and audition as early as possible. Secondary audition deadline is April 1 to fill any remaining open seats. Saturday, July 27, 2019 – 10 a.m.
Thursday, August 1, 2019 – 7 p.m.
Friday, August 2, 2019 – 7 p.m.
Saturday, July 27, 2019 – 4:30 p.m.
Saturday, August 3, 2019 – 1:30 p.m.
Sunday, August 4, 2019 – 3 p.m. Designed for the most advanced and serious musician, this intensive program provides a unique opportunity to develop and refine the skills needed to excel both as a chamber musician and, equally, in an orchestral setting. You will work with outstanding orchestral conductors, esteemed applied faculty, and renowned chamber music coaches. 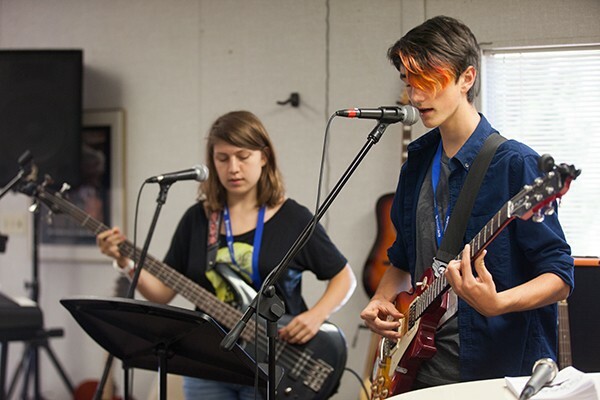 Unlike other youth music camps, Chamber Festival places dual emphasis on chamber music and orchestra. Orchestra rehearsals are in the morning and chamber music coaching and private lessons in the afternoon. Note for Pianists: Private lessons are scheduled in the morning while the orchestra is rehearsing. Chamber music coaching in the afternoon as stated above. Upon acceptance, pianists will receive repertoire assignments in advance of the beginning of the session. The final concert on Sunday, August 4, involves orchestra only. Concert-giving is core to the intensive, which will include opportunities for recital performances. Chamber ensembles will explore a rich array of music, from pieces for duos to mixed ensembles of 8-10. Repertoire for Summer 2019 includes Kabalevsky’s Overture to Colas Breugnon Op 24, Enescu’s Romanian Rhapsody No. 1 and R. Strauss’ Rosenkavalier Suite. Past orchestra works include Mahler Symphony No. 2, First Movement, Kallinikov’s, Symphony No. 1, 4th Movement and Chabrier’s Espana. Chamber Festival is aimed at those who aspire to a career in music; admission is highly selective. A recorded audition is required for acceptance. Find audition information at idyllwildarts.org/summeraudition. The priority audition deadline is Feb. 20, 2019, but applicants are encouraged to register and audition as early as possible. Please submit your application and audition as soon as possible to secure your seat. Saturday, July 27, 2019 – 1 p.m.
Thursday, August 1, 2019 – 8 p.m. Designed to help you develop the vocal and musical skills needed for the performance of choral repertoire. Study and perform a variety of choral and vocal repertoire for large and small ensembles. Conductor Dr. Joe Modica and an outstanding choral faculty team will lead the large Festival Choir, Opera Scenes, master classes, recitals, private lessons, and much more. The choir has performed in Walt Disney Concert Hall and Royce Hall, as well as the beautiful new Lowman Concert Hall. As a singer, you will perform in three major concerts, all with different repertoire, ranging from a cappella pieces to a major work with orchestra. 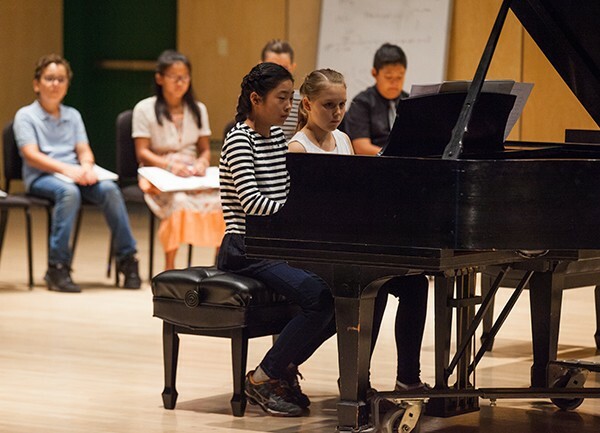 In this summer choir camp, special guest clinicians lead master classes and workshops; past guests include well-known musicians such as Eric Whitacre, Dr. Tim Seelig and Alan Paul of The Manhattan Transfer. Recorded audition or choral director recommendation is required. Audition materials will be posted at idyllwildarts.org/summeraudition. Early auditions with possibility of early acceptance are encouraged. Auditions accepted until intensive fills. Auditions not required for Festival Choir singers from the past four years. Saturday, June 29, 2019 – 10 a.m. and 2 p.m.
Saturday, July 6, 2019 – 10 a.m. and 2 p.m.
Up your jazz playing by learning from some of the best jazz artists in the country – professionals who earn a living playing and teaching the next generation of musicians. 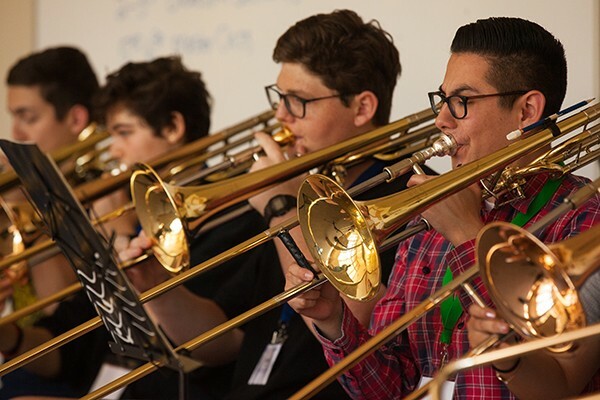 In this summer jazz camp, you’ll get the opportunity to rehearse and perform daily in big bands and combos as well as get specialized coaching on your instrument. 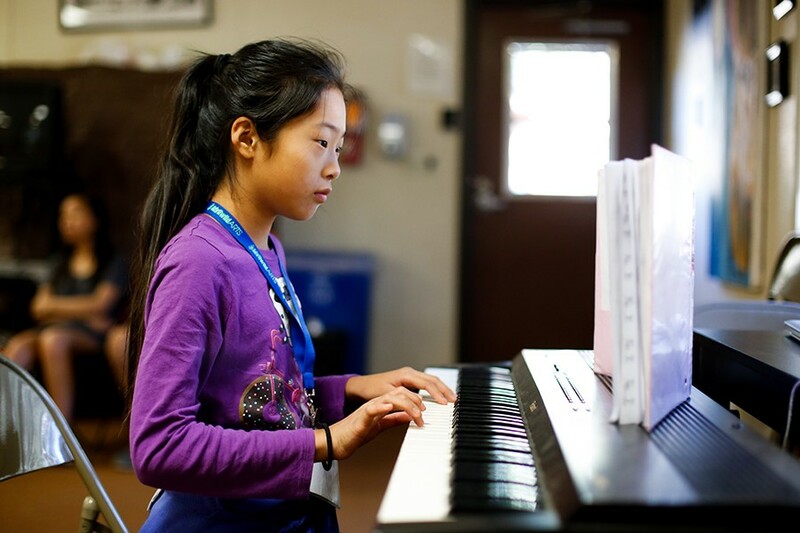 Daily curriculum will include music theory, arranging and improvisational techniques, and master classes. 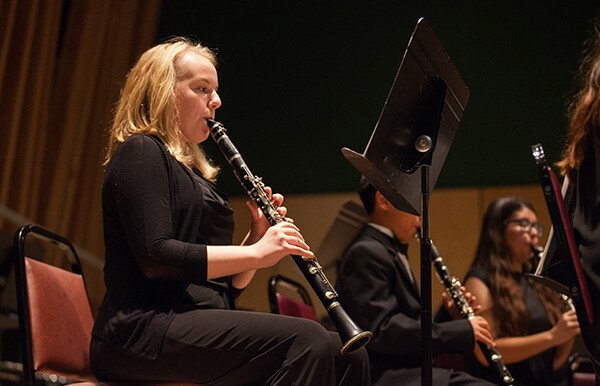 Guest artists and faculty perform with students at concerts held at the end of each week. Jazz thrives and grows when it is passed unselfishly from generation to generation. Come to the Idyllwild Summer Jazz Intensive and learn from a generation of greats. Plan to bring your own folding music stand and equipment marked with your name (i.e. drums, amps, etc.). Idyllwild Arts cannot provide instruments or personal equipment. Saturday, June 29, 2019 – 1 p.m. Perfect for beginners as well as advanced songwriters, this exciting summer music camp will teach you new skills and techniques to improve your songwriting rapidly. Explore the craft of songwriting and immerse yourself in everything that is music. Your day will include instruction from professional songwriters and musicians in writing with music and lyrical construction, performance techniques, music theory, instrument lessons and music-related courses. You will learn to collaborate with your fellow students to expand your writing into new and different genres, styles, instrument use, and beyond. An average week’s original song-crafting will yield a minimum of five songs. By the end of your two weeks, you can have 10 new, original songs to use for anything you desire! Also, each week will culminate with a live performance and a live recording that will enhance your college auditions, résumés and more. If songwriting is a mystery to you or if you have some skills but want to learn more, you will gain a wealth of knowledge to move your writing skills forward. Find your unique signature as an artist by writing songs and recording them, as well as using the Internet and social media to market and promote the music you make. Recorded audition required. Audition materials will be posted at idyllwildarts.org/summeraudition. Early auditions with possibility of early acceptance are encouraged. Auditions accepted until intensive fills. 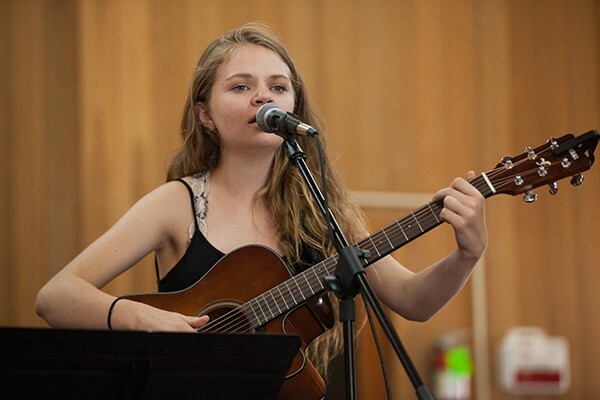 Saturday, July 13, 2019 – 1 p.m.
Saturday, July 20, 2019 – 2 p.m.
Register today for the most comprehensive and advanced high school summer music camp anywhere in the U.S.! This exciting and challenging program will give you opportunities for large ensemble performance, chamber music coaching, solo performances, and group and individual coaching. 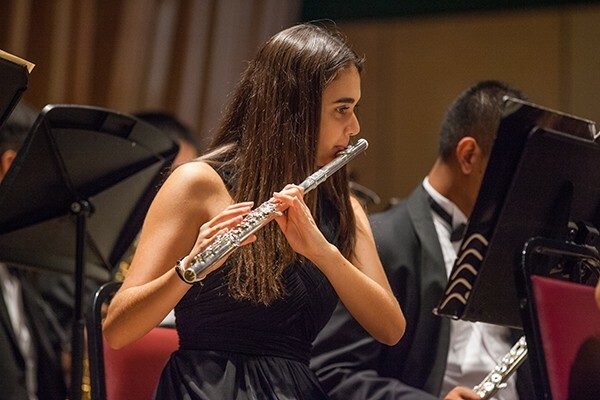 This internationally recognized program has helped Idyllwild Summer alumni secure positions with prestigious world- class ensembles, including the London Symphony Orchestra, New York Philharmonic and San Francisco Symphony. Many alumni are on faculty of America’s leading colleges and universities. Your Idyllwild instructors will include artist-educators who regularly appear with the Los Angeles Philharmonic, L.A. Opera Orchestra, L.A. Chamber Orchestra and major studio recording ensembles. 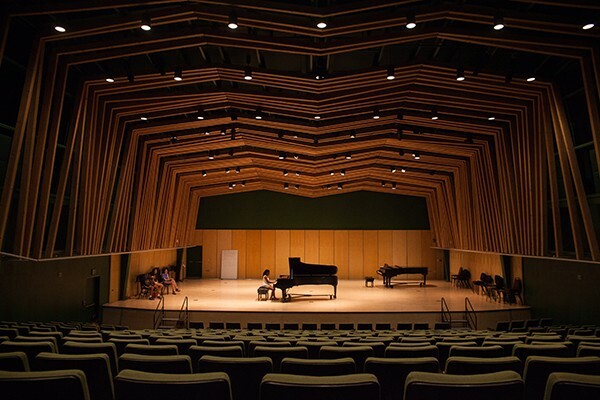 They also maintain high-profile teaching studios at the Colburn School, USC , various California State University and private university campuses. Daily instruction will include rehearsals, master classes, individual lessons, solo repertoire and chamber music ensembles. Repertoire for 2018 included Steven Bryant’s Ecstatic Waters, Alfred Reed’s Armenian Dances and Felix Mendelssohn’s Overture for Winds . These works are some of the most exciting and classic works in the Wind Ensemble repertoire, so expect an exciting musical experience! Boarding Arts High School Academy Music Program.